I was sent a copy of Get Your Kids To Eat Anything in order to write this review. All words and opinions are my own. I don’t know many parents out there who can hand on heart say their child hasn’t gone through a fussy eating phase. 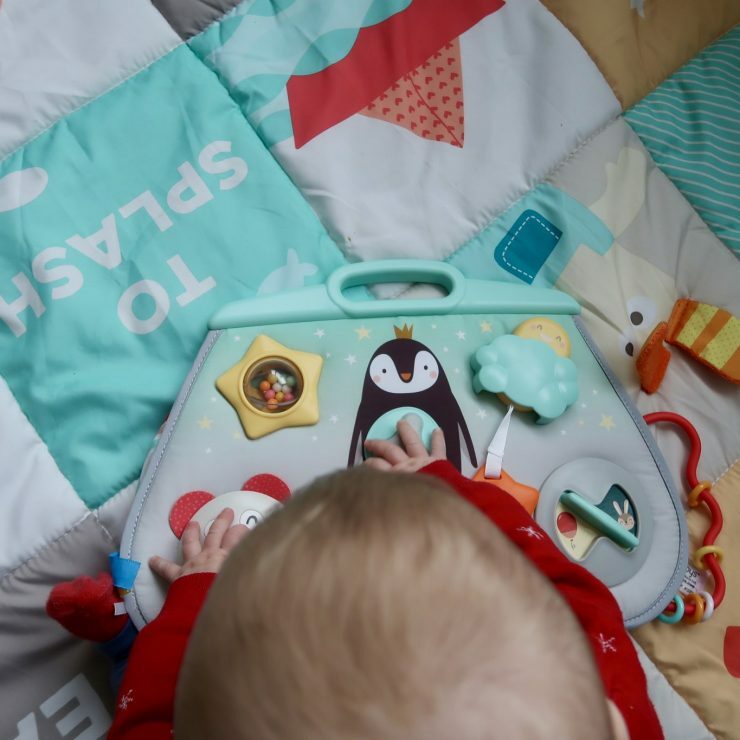 Whether it just be a week while they were teething, or a year long battle against beige food, most of us have been there at some point. Piglet started out eating really well. I made all his meals from scratch, I still do today, and he would happily sit and enjoy whatever was put in front of him. It wasn’t until his second Christmas, just before he turned 2 years old, that he suddenly shut down when it came to food. 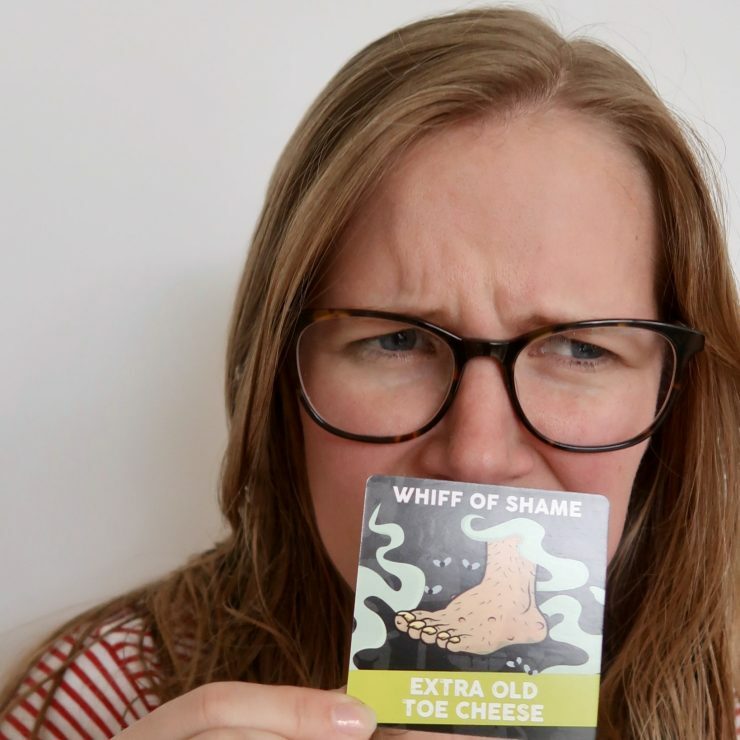 It has now been well over a year of meal time refusals and I was just getting to the end of my tether with it all, but then Emily wrote her book – Get Your Kids To Eat Anything. 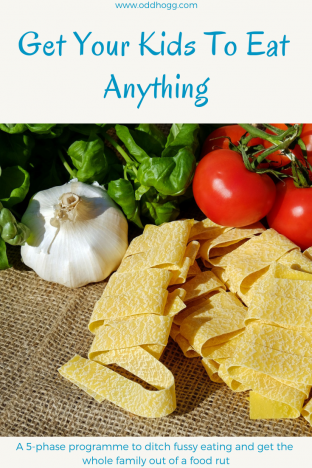 Although there are 70 recipes included, Get Your Kids To Eat Anything is more than just a recipe book. It is designed to change the way you think about serving your family meals. 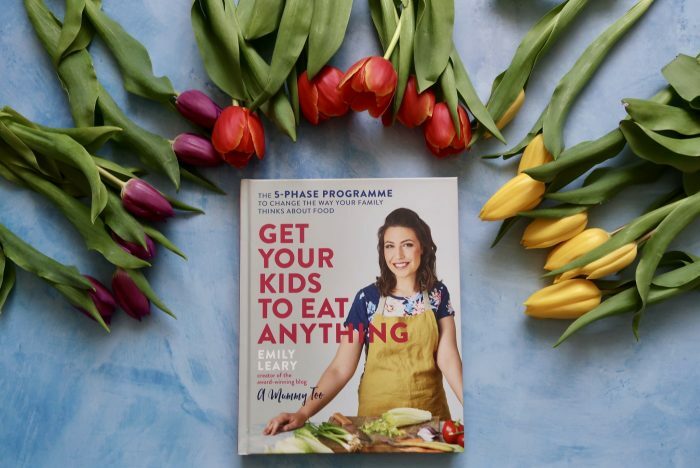 It is a 5-phase programme that gets you thinking about food, what makes it appetising to your kids (and husband in my case – it possible he’s fussier than Piglet! ), how you can make changes to a favourite meal and make food fun again. Reading through the introduction to the book is like having a conversation with Emily herself. I have attended a talk by her in the past at a conference, and she has written this book in a similar way. It makes the task ahead seem less intimidating, however she is quite clear that there is no magic wand – changing the way your family eats will be hard work but should also be fun too. Carrying on through the book, each phase gives you a clear explanation of what you are going to learn next, as well as advice and 2 weeks worth of recipes to get stuck in to with your family. There is also a hands on activity which I have been completing myself, but if you have older children you could have their help and see if it inspires them to get involved in the kitchen with you. Well it’s too soon to say for Piglet, but it has certainly gotten me excited about cooking again! 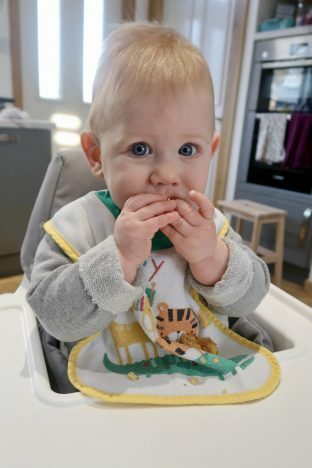 I am hoping that my interest and passion in creating fun new meals will rub off on the kids and soon Piglet (and Daddy!) will look forward to our meals together. One tradition we have started this year is Friday night family pizza. This began when we discovered that Piglet will eat pizza if it is presented on a board in front of him so that he can help himself, rather than placing directly on his plate. He now enjoys making tortilla pizzas with me, stealing the cheese to eat almost as fast as I can sprinkle it on the pizzas. I thought I had done quite well to get this one meal a week nailed, and so my gut instinct had be to not mess with it. Leave it alone and do the same every week because he eats it. After reading Get Your Kids To Eat Everything I am now approaching it with a new mindset. We need to mix it up, make a familiar meal unfamiliar again so that he learns that it can still be fun and delicious. Perhaps try a cauliflower pizza base? Or use our bread maker to try a sundried tomato base? How about a calzone? Or changing the type of cheese and adding an egg? What about some gorgonzola and pear? I may even replace the pizza entirely one day and try Emily’s recipe for Tomato & Wild Garlic Focaccia. At only 10 months JJ is still happy to try anything I put in front of him, so I really hope that we can keep that going for the long term. With Emily’s programme in mind, I have been more adventurous with the things that I am giving him and in the last week he has had falafel for lunch and scoffed down some courgette muffins. My mindset towards what to feed the children is slowly changing and, although I will have to work hard to make this the new normal for Piglet, JJ is one step ahead and a willing participant. We are still in phase 1, but I have had a good look at all the recipes and there are some I can’t wait to try. 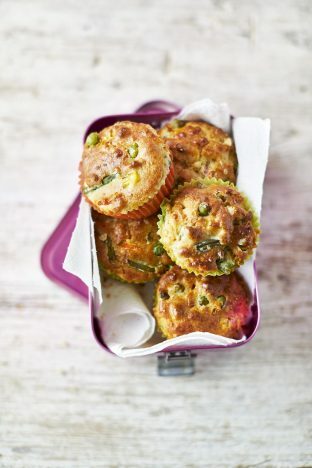 The Asian inspired dishes are right up my street, and I am hoping that Piglet will enjoy making some of the simpler dishes, like the savoury lunch box muffins with me – because I always find that if he cooks something he is far more likely to eat it too. If you have a fussy eater, or just want to get more adventurous with food as a family then you can pick up a copy of Get Your Kids To Eat Anything on Amazon. Next PostIs the freestyle libre resulting in worse diabetes control?